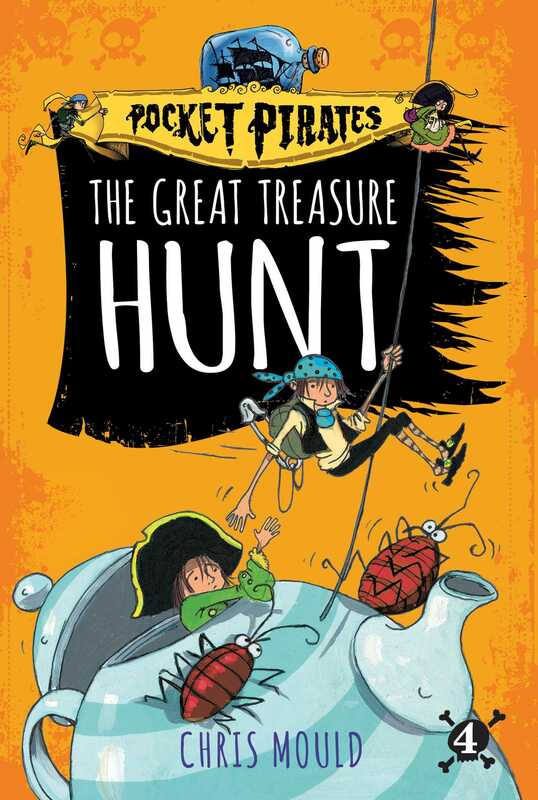 A band of tiny swashbucklers learn that treasure hunting is risky business in this epic conclusion of a chapter book series about pocket-sized pirates! The Pocket Pirates have left the safety of their shelf to search for gold…but dangers await them. The skirting-board mice are on the prowl, and the shopkeeper has an unwelcome surprise in store! Will they find the treasure they seek…or return to their ship-in-a-bottle empty-handed?